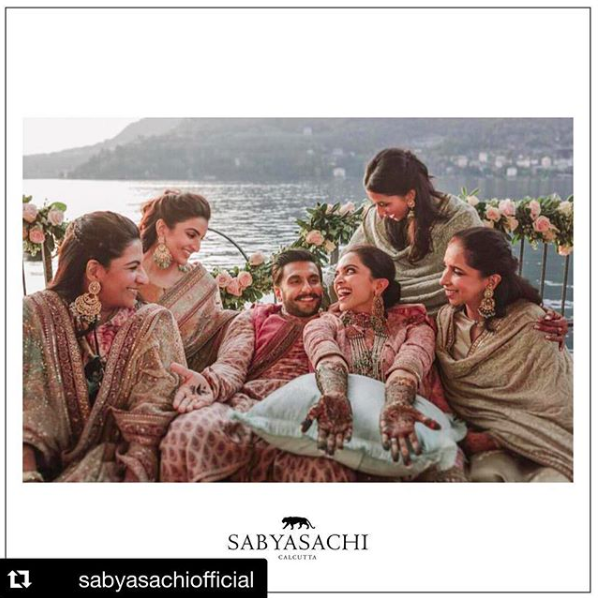 Deepika and Ranveer got married last week at Lake Como, Italy and their wedding pictures looked like a fairytale. 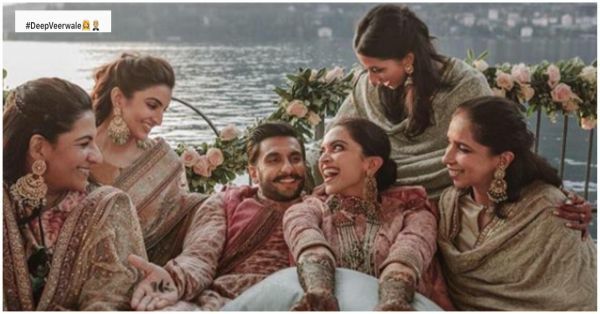 Last night, Deepika Padukone and Ranveer Singh broke the internet with the pictures they shared from their wedding ceremonies in Italy. Even their airport looks while travelling to Bengaluru for their first reception created a frenzy with fans and paps who couldn't stop calling them Baba and Bhabhi. It looks like Deepika's sister, Anisha Padukone, is crushing on the couple as much as we are. She has changed her bio once again to #DeepVeerWale, a tribute to the couple who has got everyone glued to their Instagram feeds. She had written #Ladkiwale on her Instagram bio before the couple tied the knot, but she has now changed it to #DeepVeerwale with emojis of a bride and a groom. If she was once on Deepika's side, now she's rooting for them both. Anisha even posted a picture of the wedding on Instagram, the one with DeepVeer and their mother. She gave the credit to fashion designer Sabyasachi for designing beautiful outfits for the wedding. She captioned it, "Main man 🙏🏽 @sabyasachiofficial"
The couple were snapped at the airport and were all smiles and hugs as they left for their Bengaluru reception! We cannot wait to see more pictures after we got a glimpse of them greeting their fans together from the balcony of Deepika's house. For more updates on the happily married couple, click here.